Please note that the content of this book primarily consists of articles available from Wikipedia or other free sources online. Modern Chinese Sign Language is the deaf sign language of the People's Republic of China. It is unrelated to Taiwanese Sign Language. The first deaf school using Chinese Sign Language was created by the American missionary C.R. Mills and his wife in the year 1887. 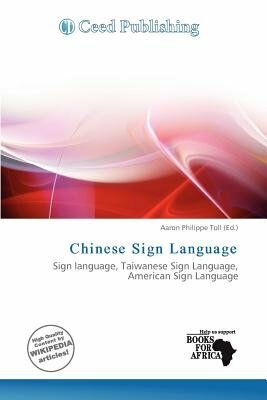 However, Mills did not work with American Sign Language, so there is no ASL influence on Chinese Sign Language. Schools, workshops and farms in different areas for the Deaf are the main ways that CSL has been able to spread in China so well. Other Deaf who are not connected to these gathering places tend to use sets of gestures developed in their own homes, known as home sign.